The 2019 Charity Walk is coming up! 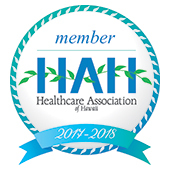 Register to walk or run, or simply make a donation for NHH at https://app.mobilecause.com/…/Hawai…/team/NorthHawaiiHospice. The Hawaii Visitor Industry raises money via the Charity Walk to support local charities. NHH uses the funds received from the Charity Walk for patient care. Your support plays an important role in caring for North Hawaii’s families. The more we participate, the more we receive! or call Gayle at NHH, (808) 885-7547.